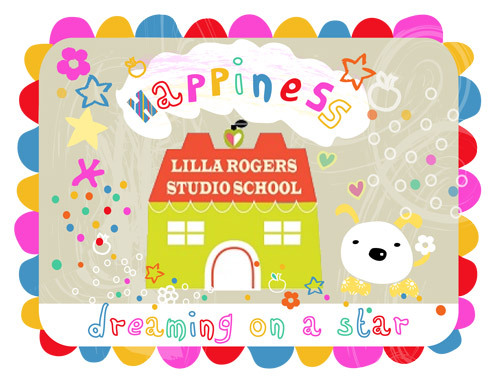 My first week as a student at Lilla Rogers’ MATS class! Hi everyone. 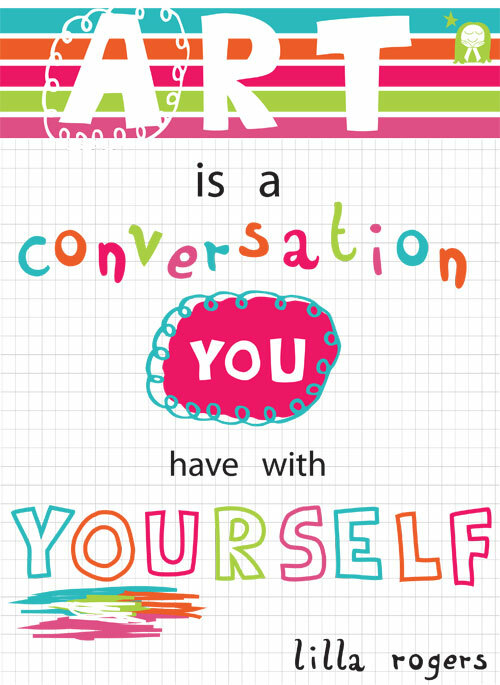 I’ve enrolled in Lilla Rogers’ MATS class (Make Art That Sells – Part A) and have my very own student card! The first week is over and I want to tell you how I’ve been getting on and show you what I’ve been doing! Dreaming on a Star’s MATS Student Card! The first week was all about Bolt Fabric. We learned to analyse different styles, what makes a great fabric design, how to make your designs stand out. There were interviews with Lilla’s artists and influential buyers in the Bolt Fabric industry. Lilla even spells out step by step how to approach a buyer. The assignment for the week was to make a mini fabric collection (main print & two coordinates) based on Berries & Pyrex Casserole Dishes. Lilla broke down the assignment into simple steps. 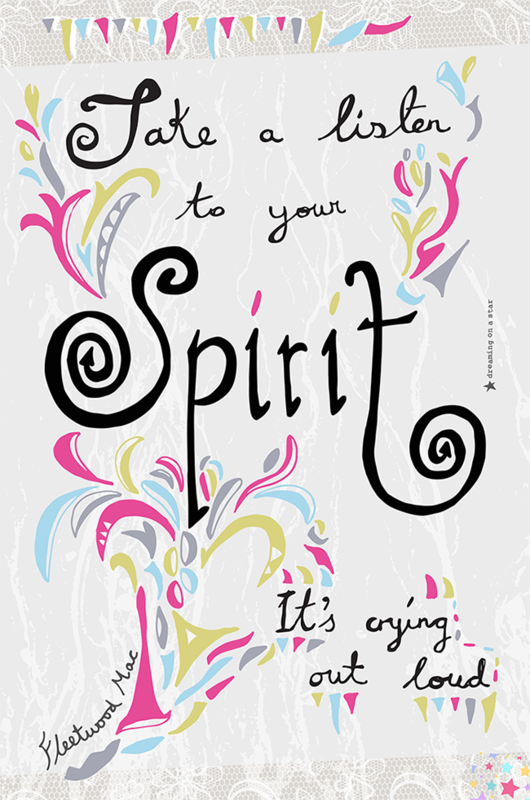 She emphasized having fun, because her motto is – People Buy Your Joy! Unfortunately I had the flu for the first few days and I was panicking that I would get left behind. I managed a few scribbles whilst lying in bed but I really wanted to get stuck in. I kind of freaked out a bit, but I got some advice from my designer friends – look after yourself first, and everything else will look after itself! So I took it easy, reading the course notes and a few days later when I was better, I started to draw a bit more and explore ideas about how I would approach the brief. Lilla emphasized our Uniqueness and wanted us to put Us into our work – we all have a unique way of looking at the world. When I was reading the brief, the idea of collecting berries reminded me of Harvest time. In Ireland, in Celtic times, an important Harvest festival, Lughnasadh was celebrated here. It was the gathering of the first fruits of harvest, namely berries. 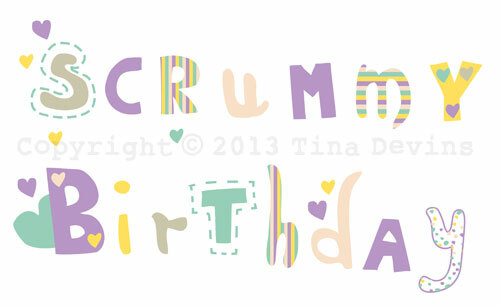 I loved this idea and wanted to give the brief an Irish slant, but I didn’t want it too obvious. If you google Irish and Celtic symbols, you’ll see a lot of intertwining symbols. While these are very beautiful, they are ubiquitous in Ireland, so I wanted something less obvious. Newgrange is a Neolithic structure in County Meath, Ireland. It was built over 5000 years ago and is thought to be a religious monument. The structure is aligned with the rising sun and its light floods the chamber on the winter solstice. 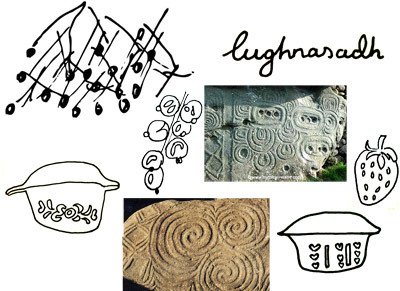 Lúnasa (modern Irish spelling of Lughnasadh – pronounced Loo-na-sah) is also the name for August in the Irish language. 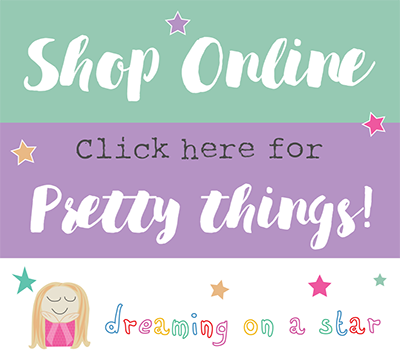 Dreaming on a Star’s Designs Licensed with Keka! Hi everyone. I have been meaning to write this blogpost for quite some time! In March this year I signed my first licensing deal with Keka – makers of fabulous iPad & Kindle covers (and soon clip-on cases for smartphones). Hi everyone. 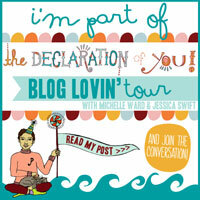 I have somewhat neglected my blog and I apologise for this. I have been so busy with things, working on new collections, finishing up my Business Start Up course, adding new items to my Etsy shop. I have also signed up for Lilla Rogers Global Talent Search. I’ve been sketching away and playing with the brief. Looking forward to sharing my designs with you very soon. I managed to sneak in a 2 day break to the medieval city of Limerick. I love all things medieval – perhaps because all the old fairytales seemed to be about Kings and Queens in medieval castles. I’ll post up some pictures soon of all the lovely places I visited. In the meantime you can have a peek at what I’ve been up to in May, thanks to Sam Osborne’s feature on me. Print & Pattern and Philosophy! Hi everyone. 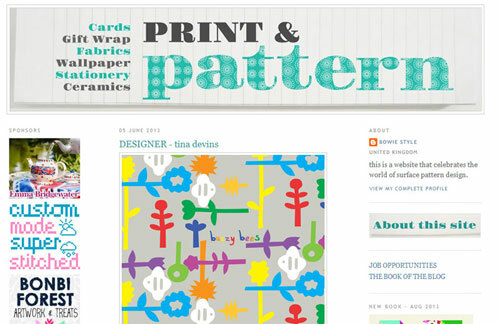 Last week my work was featured on the esteemed Print & Pattern blog – the world’s no. 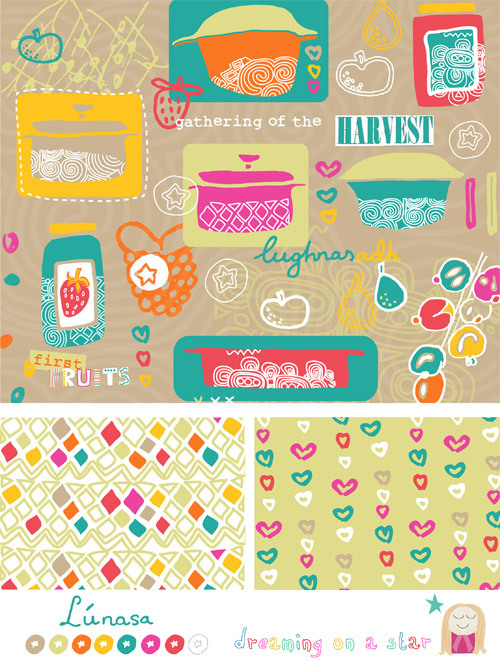 1 blog for surface pattern design. I was so honoured to be featured alongside all the amazing artists. I have dreamt about this moment for years and being featured made me take a little walk through memory lane! As you may know I graduated with a degree in Interior Architecture – a creative but tough design discipline. I loved it, but as the years progressed I realised designing an entire building from structure down to fixtures & fittings was a massive undertaking. Your concept amounted to about 10% of the design, the other 90% was trying to make your concept work. Spatial planning, ergonomics, restrictive planning regulations, feasibility studies, construction, etc all needed to fit in with your concept. There seemed to be very little creativity at the end of the day. I wanted to get my design mojo back and I wanted to figure out what exactly I wanted to do. I had always had a dream of seeing my designs on wallpaper or stationery. But it remained a dream. Surface Pattern Design was unheard of in Ireland. 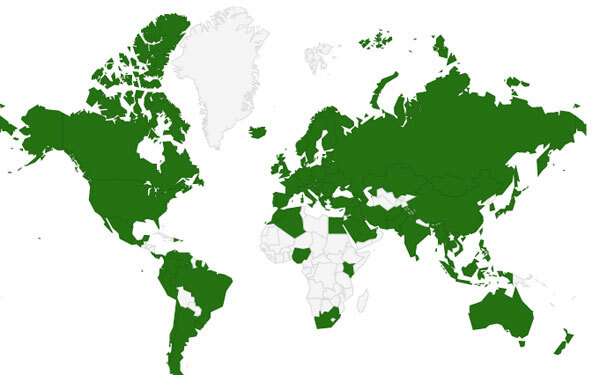 I had travelled and lived in other countries but I just never came across the actual name before. I had never thought that there was a dedicated profession for this type of design. I thought perhaps wallpaper was designed by an interior designer, stationery by a graphic designer and textiles by a fashion designer. 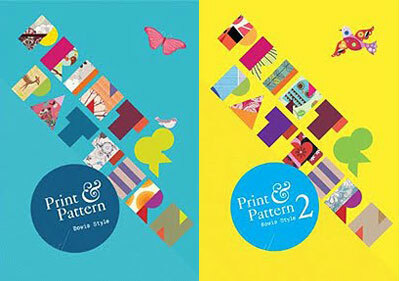 And then one day I heard of the Print & Pattern book, bought it and then followed the amazing Print & Pattern blog. It was a revelation to me. This is it! Surface Pattern Design. There’s a name for it! Around this time I had started an Art & Design course. I couldn’t get full time work in Interior Architecture and what I had got wasn’t particularly creative. I also needed to build up my confidence. 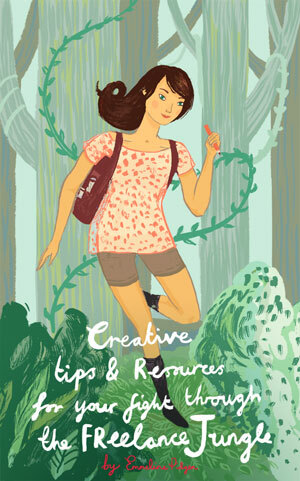 My illustration tutor Eva Byrne was an amazing mentor. She encouraged and supported me, and inspired me to reach for the stars. So I finished the course, did the Art & Business of Surface Pattern Design course (seen the ad for it on the Print & Pattern blog!) and worked away on my designs. 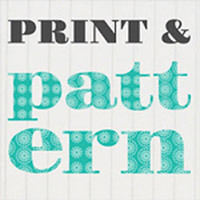 All the while dreaming that one day I would be featured on the Print & Pattern Blog! I was over the moon to be featured! I was excited and honoured. Incidentally the Buzzy Bees pattern you can see above came from a papercut design I did for Eva a few years ago. I finally feel like I am on the right course! Maybe I am being overly philosophical (or pompous – forgive me, if it sounds that way), but it feels like a rite of passage. Hi everyone. 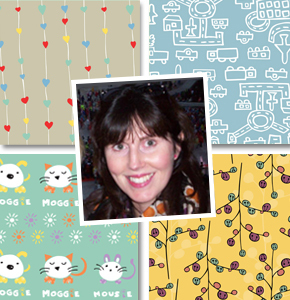 I am just finishing up Module 3 of the Art & Business of Surface Pattern Design e-course. I still have lots of exercises to do, but the course itself is finished. I did Module 1 and 2 earlier on in the year and I really can’t recommend this course enough. I have grown in my abilities as a designer and gained confidence in myself. I feel like I can take on the world of Surface Pattern, whereas before I really didn’t know what to do.